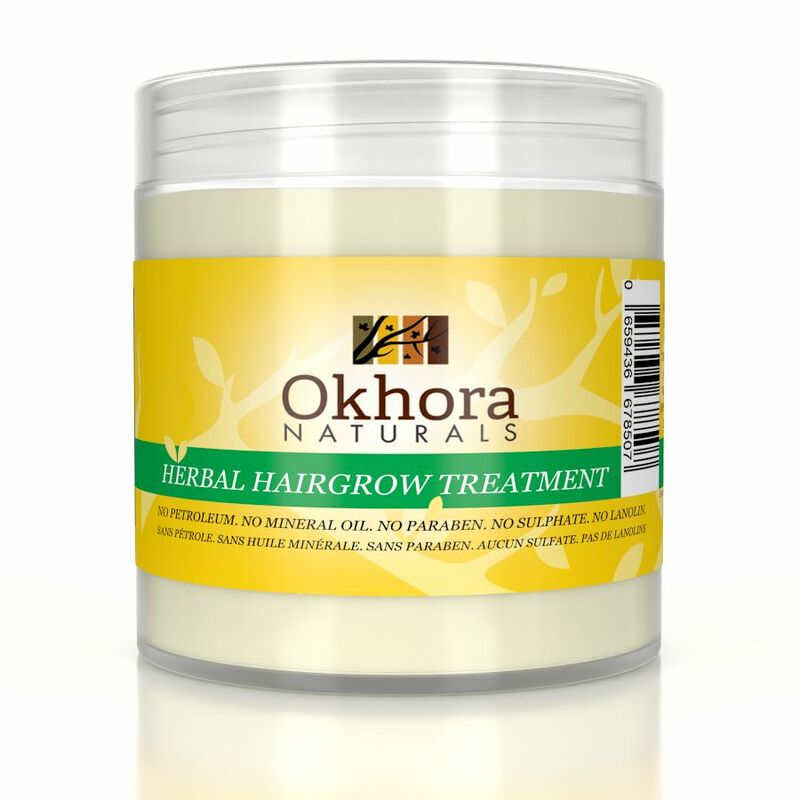 Lovingly made with natural butters, natural oils and natural extracts, Okhora Naturals Herbal Hairgrow Treatment is suitable for most hair and scalp issues. Included in this superb blend of 100% natural ingredient is Lavender Oil which improves blood circulation of scalp, promote hair growth, and prevent hair loss. Cannabis Seed Oil is packed with lipids, which add moisture and shine to hair and relieve itchiness, dryness in the scalp and deter dandruff from forming. Rosemary oil stimulates the scalp and encourages hair growth, treat dry scalp and dandruff. Green Tea Extract is rich Vitamin C and E and is helpful in hair growth. 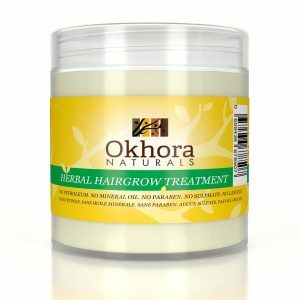 The combination of these outstanding ingredients for the hair and scalp makes the Okhora Naturals Herbal Hair Grow Treatment possibly the best treatment available on the market. Butyrospermum Parkii (Shea Butter), Cocos Nucifera (Coconut Oil), Virgin Butter), Cera Flava (Bees Wax) (Castor Oil), Olea Europaea (Olive Oil) Mangifera Indica), (Mango Butter) Cannabis Sativa Seed Oil (Hemp Seed Oil), Tocopherol (Vitamin E), Rosmarinus Oﬃcinalis (Rosemary Oil), Lavandula Angustifolia (Lavender Oil), Camellia Sinensis (Green Tea Extract). All Okhora naturals products are free from mineral oil, sulphates, parabens, lanolin, petroleum. and any other harsh chemicals. 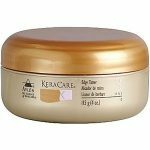 Categories: Hair Care Products, Natural Products.